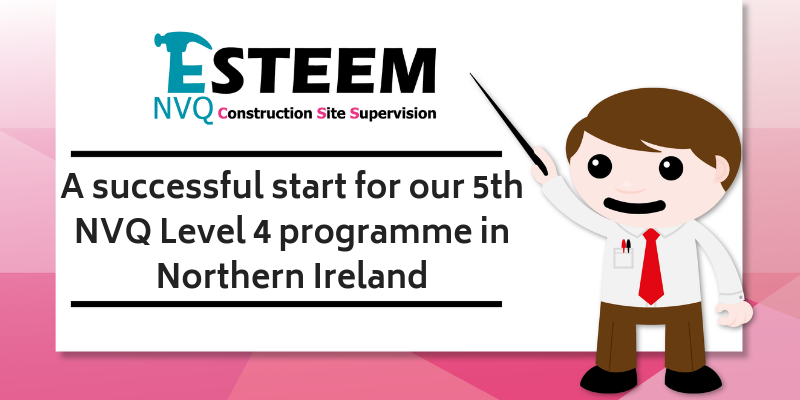 The Esteem team welcomes 15 new candidates onto our 5th CITBNI NVQ Level 4 programme in Northern Ireland. We cannot wait to hit the ground running and help all 15 candidates develop within their role and to achieve their qualification. Last week Trudy and Allan flew across to Northern Ireland to meet the 15 new candidates who have just began their NVQ Level 4. 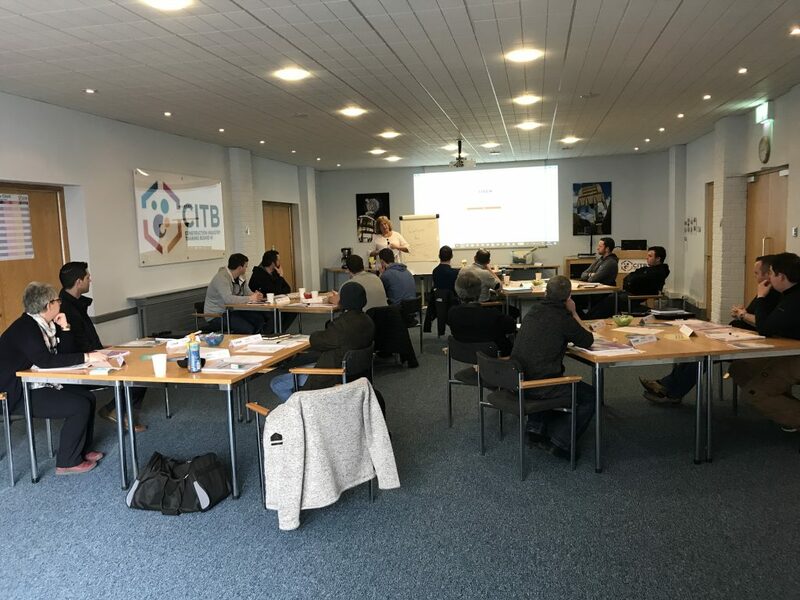 With CITBNI running the programme candidates are offered the unique opportunity to enhance their skills through first class training facilities. This includes the virtual training facility called VET360 which allows candidates to view construction sites and learn from real time examples. At Esteem we like to make learning simple, easy and enjoyable. With this, our NVQ4 programme consists of 5 half day development workshops which explore the key responsibilities a Site Supervisor has. This includes planning and managing projects, teams, resources and awareness of certain legalities and standards. We have found that this ‘off-site’ learning helps candidates truly focus on what is being discussed. Candidates also have a handful of 1:1 sessions with their assessor and a site-visit. These practices were designed to ensure that candidates are supported throughout their NVQ and are given the opportunity to build new skills where necessary. Esteem Limited has no affiliation with Esteem Systems. If you are looking for Esteem Systems please visit their website.